10x 8 Pin USB Data Sync Charger Cable Cord For iPhone 7/6S/5S/SE iPad 4. Often copied but never equaled, the Yellow-Price 2019 Latest Plug and Play 4K Audio AV Connector is now better than ever. 2019 Latest Plug and Play 4K Digital HDMI/AV Audio Connector. Digital HDMI Converter 4K Digital AV Connector for iPhone iPad iPod. Compact Lightning Connector head works with nearly all cases. 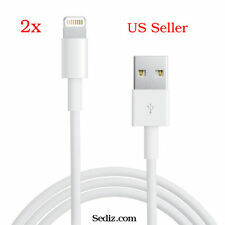 Charging and syncing cable for your Apple devices. Light-weight and easily coiled. Tangle free flat cable. Constructed of 100% Premium Shielding, Copper Wire & Nickel-Plated Connectors. Color : White or Black （will send random colour）. Note: This Adapter Can Be Used Only For Charging Purpose. 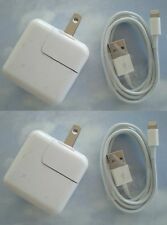 Adapter with Authentication Chip. Not For Data Transfer, CAN NOT use it to play Music. ======Dispatch within 24 Hours=======. Trending at $4.13eBay determines this price through a machine learned model of the product's sale prices within the last 90 days. Note: This Adapter Can Be Used Only For Charging Purpose. Adapter with Authentication Chip. Not For Data Transfer, CAN NOT use it to play Music. Color : Black. ======Dispatch within 24 Hours=======. One mold build. Compatible with iPhone 5, 5S, 5C, iPad Mini, iPad 4th generation, iPod Nano, iPod 5th generation,iPodtouch5、iPod nano7. High speed USB 2.0. 10 x Data Cable. Light weight item that is easy to add to your jewelry or even to start a new masterpiece.